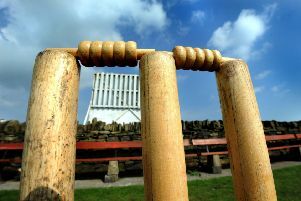 Bomarsund second team remain winless in the Northumberland Cricket League Division 2 after a suffering defeat to Ashington Rugby on Saturday. Alex Breeze (24) and Brent Mordey (22) were the only two contributors for Bomarsund as they were bowled out for 84 inside 37 overs. The pair managed to put on 34 for the third-wicket partnership, but that could not stop Ashington ramping through the innings. Trevor Elliott and Craig Jobson finished with figures of 3-15 and 3-16 respectively, while David Wanless Snr picked up two wickets. Tom More struck to remove Ryan Pringle, and Mathew Smith sent Dean Hardy back to the pavilion, but Stephen Henderson (30) and Kevin Hetherington (22) took the visitors to their target with ease.